I am a highly dedicated, passionate and motivated conductor and educator who believes in open, transparent and honest communication. Currently I hold conducting positions in London of Founding Musical Director of Harmony Sinfonia and Associate Conductor of Stoneleigh Youth Orchestra. My musical education includes a Bachelor of Music (French Horn) and Bachelor of Teaching (Honours) at the University of Melbourne, and an Associate of Music Australia with the Australian Music Examinations Board (A.Mus.A.). 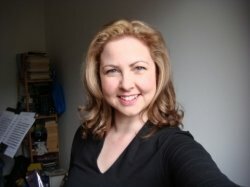 My career background is as a secondary music teacher in Melbourne and in London, having experience of teaching students from beginner to advanced levels. This background combines with my character to provide me with a broad understanding of music in general, the character of a life-long learner and a positive approach to music-making at the highest possible standard. I am passionate about providing musical opportunity to every person. As an experienced teacher I have developed excellent interpersonal and communication skills in the real world – skills that transfer wonderfully to private tuition. Over ten years of experience in the UK/Australia, in a variety of educational settings including primary, secondary, special needs and private tuition in instrumental music (French Horn and Brass) and classroom music. My approach is fun, friendly and flexible. While teaching new concepts I ensure that students understand the foundations solidly to build further knowledge.